An innovative nano-lithography printing system has been installed at the University of Bath, making it the only institution in the United Kingdom that has this novel nano-scale patterning equipment. This capability enables the university to play a pioneering role in the advancement of next-generation manufacturing methods for nano-engineered semiconductors. 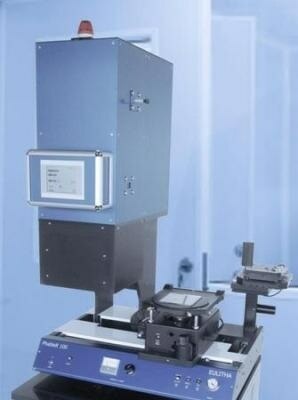 The PhableR 100 Nano-Lithography System, installed at the the University’s Department of Electronic & Electrical Engineering, can print periodic patterns with very high resolution and cost-effectively, allowing the large-scale production of new electronic devices that make use of the properties of nano-scale features. These devices have been the subject of intensive research over the past 10 years, and this unique equipment will help the University of Bath to play a key role in the commercialization of the devices. Using nanolithography, the University of Bath’s III-nitride research group have been working to develop high-efficiency, cost-effective light-emitting diodes (LEDs) employed for general lighting over the past several years. The semiconductor Gallium Nitride (GaN) is crucial for the LED technology and the team will advance its research into nano-engineered LEDs using the new equipment. Fabricating nano-scale 3D structures provides potential to obtain these materials with improved quality, which leads to the development of high-performance devices. Eventually, energy efficiency will be improved in these and other up-and-coming applications. Water purification is one such application, where the reproduction of viruses can be prevented by using ultra-violet LEDs. The university used the £2.7 million Engineering & Physical Sciences Research Council (EPSRC) grant (www.ManuGaN.org) obtained as part of the council’s Manufacturing of Advanced Functional Materials funding program to acquire the novel equipment. We are very excited to have this new capability at Bath. Initial results from the tool have matched and even exceeded our expectations. There has been a lot of interest from other researchers to use the tool and we look forward to developing new research collaborations as a consequence. The other two universities that have this unique Eulitha equipment are CIOMP Institute in China and Twente University in the Netherlands. The installation of this system will produce a step change in the Department’s advanced nano-manufacturing techniques. It is significant that this is the only system of its type in the UK and will further enhance Bath’s research and impact in this exciting area. The 2014 Research Excellence Framework (REF), an independent assessment of UK university research activities, ranked all of the research work performed at the University’s Department of Electronic & Electrical Engineering as ‘internationally excellent’ (3*) and ‘world-leading’ (4*) based on its impact.